Valentine’s Day is almost here. If you are like most people, you probably are just now planning your evening. Lucky for you, we are here to help! Below are 7 spots perfect for any type from Valentine’s Day. From casual to elegant, these places are sure to help bring a little love into your day! It’s a family affair for Valentine’s Day this year! On Tuesday, February 14th, kids 12 and under get a FREE kids meal with an adult purchase of an entrée/sandwich. One FREE kid’s meal per sandwich/entrée purchase. For more than six decades, Miracle Mile has served its customers with the freshest and finest quality food. The restaurant has been family owned and operated for three generations and continues to provide a unique experience in casual dining. 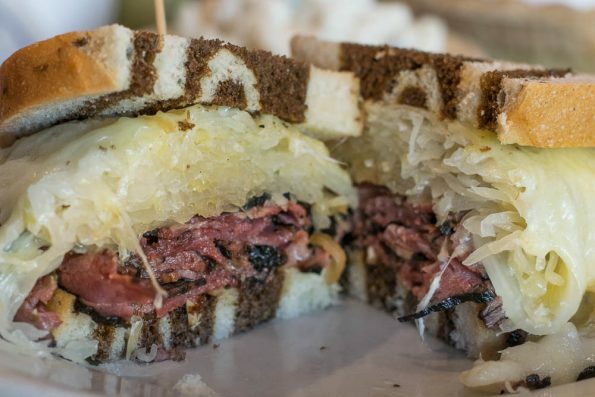 Located at 4433 N. 16th Street in Phoenix, just two blocks south of Camelback Road, visit miraclemiledeli.com for more information or like them on Facebook at facebook.com/miraclemiledeli. On Valentine’s Day, from 7:00 a.m. to 4:00 p.m., Zookz is offering a thinly sliced turkey, parmesan and goat cheeses topped with a roasted almond, green onion and sun dried tomato marmalade. This special includes a side salad and a passion fruit mimosa all for $12.50 per person. 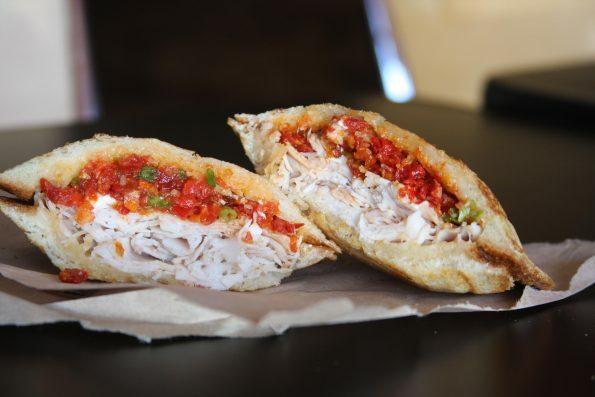 Zookz Sandwiches is located at 100 E Camelback Road. For more information visit: zookzsandwiches.com. Impress your significant other this Valentine’s Day with a special three-course prix fixe menu at North Italia in Arcadia and North Scottsdale for $55 per person (excluding tax, beverage, and gratuity). 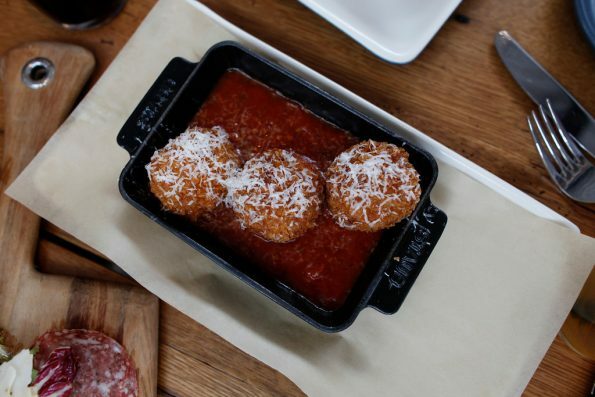 On Tuesday, February 14, guests will begin by choosing from a variety of starters such as Arancini; crispy mushroom risotto stuffed with scamorza cheese and served with red sauce. Main courses include eat-your-heart-out options like the Bolognese and the Red Wine Glazed Short Rib with heirloom carrot, swiss chard, and creamy mascarpone polenta. To end the meal on a sweet note, enjoy desserts like a Salted Caramel Budino or Dark Chocolate Tart with Nutella mousse and pecan toffee. To make a reservation, call North in Arcadia at 602.324.5600; North at Kierland Commons at 480.948.2055 or make a reservation online at www.northitaliarestaurant.com. Trying to charm a first date? Join Little Cleo’s Seafood Legend this Valentine’s Day for a four-course prix fixe menu. On Tuesday February 14, Little Cleo’s will offer a special menu for $55 per person (excluding tax, additional beverage and gratuity). 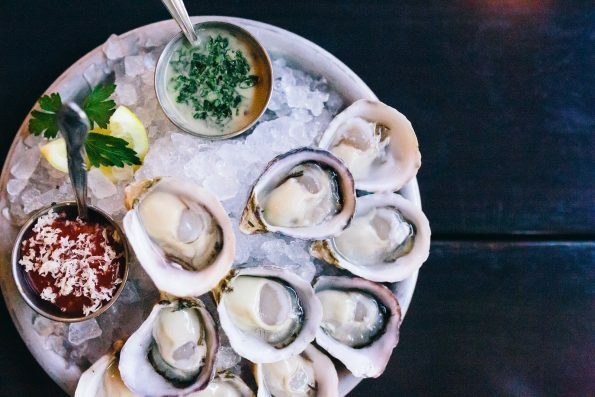 Guests will start their dining adventure with oysters–a known aphrodisiac–and choose from first course options such as the Big Eye Tuna Tataki or Parsnip Soup with butter poached lobster, celery root, black truffle and crispy country bread. Main courses include options like Seared Diver Scallops, Grilled Swordfish or Red Wine Braised Short Rib. To make a reservation, call 602.680.4044 or visit www.littlecleos.com. With Valentine’s Day just around the corner, Sardella’s Pizza and Wings is excited to offer for the first time, heart-shaped pizza – with a twist, pink crust! The artistic, heart-shaped creations are now available for pre-order but will only make an appearance on the menu on February 14th with two options to share with your loved ones; the “I Love You”, a medium pink heart-shaped 1-topping pizza served in a box with a personalized message and a single red rose ($15.99), or the “I Love You More”, a medium pink heart-shaped 1-topping pizza served in a box with a personalized message, a handmade Cinna-Bread, and a single red rose ($19.99). Customers can request dine-in, takeout or delivery. 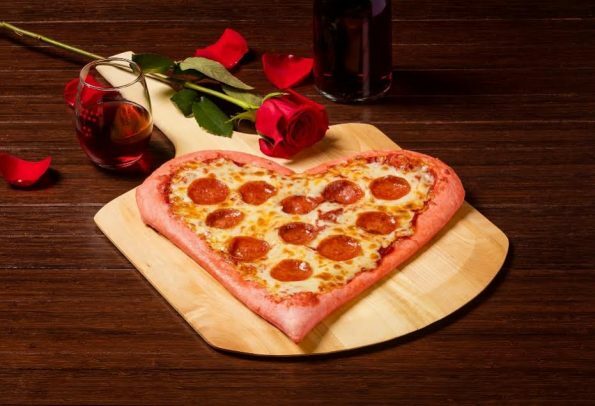 Heart-shaped pizzas can be ordered in person or by calling any of their four Valley restaurants. For special discounts and offers year-round, visit http://sardellaspizza.com/specials/. 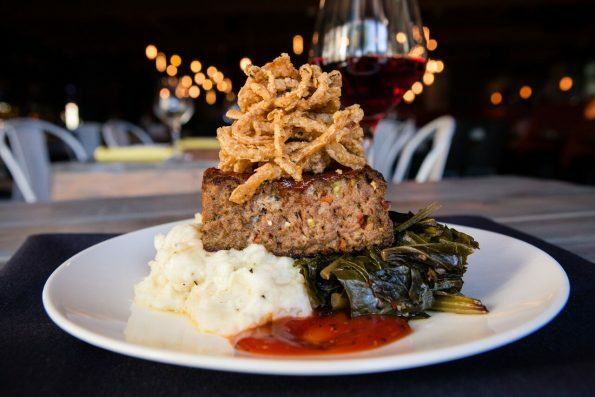 For the first time, Valley residents can “rock out” with the one they love at this contemporary dining establishment and entertainment venue located in the Scottsdale Airpark. Lovers alike can select from a prix-fixe menu complete with a bottle of wine, choice of appetizer, entrée, and dessert for $75. Classic entrée options include lobster tail and steak with broccoli and asparagus, the BLK Meatloaf with brown sugar glaze and the blackened chicken with roasted garlic aioli. BLK Live is located in Scottsdale at 7301 E Butherus Dr., Scottsdale; (480) 494-5069; www.blkliveaz.com. This Valentine’s Day, enjoy a candle-lit dinner at ZuZu inside the iconic Hotel Valley Ho in Downtown Scottsdale. The restaurant will be done up in Valentine’s style, offering a delicious prix-fixe menu crafted by new Executive Chef Russell LaCasce. 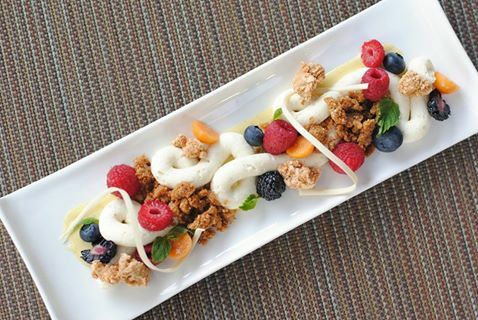 Choose one item for each of the four courses, with a variety of options including Main Lobster and Artichoke Tart, Wagyu Flat Iron Steak, Hawaiian Albacore Tuna, and Coffee Semifreddo with brown butter streusel. Dinner is served from 5:30 p.m. to 10 p.m., and the cost is $75 per person, plus tax and gratuity. Reservations are required and can be made at 480.421.7997. For more information visit: www.HotelValleyHo.com. Where will you be eating this Valentine’s Day? Leave your comments below or use the hashtag #GeekEats in your Valentine’s Day photos!